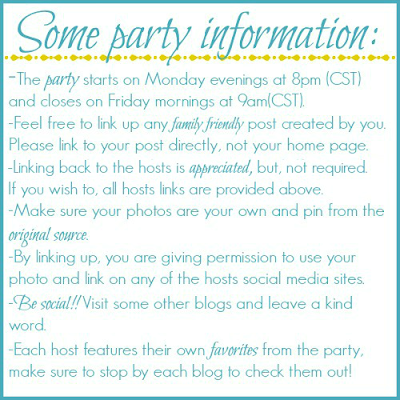 Welcome to Share Your Stuff Tuesday! It's such a pleasure to have you join us. :) Let's get this party started! Not as food related as usual, but I've been wanting to make a workbench for a while now. Maybe now's the time! How exciting to see my book post listed! It seems that a lot of people are interested in finding new books to read. Have a wonderful day! Thanks for the feature and the party! Hi CJ, Thank you so much for the feature! I hope your week is wonderful!